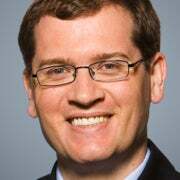 John Ligon focuses his research on dynamic economic modeling of federal public policy as a senior policy analyst at The Heritage Foundation’s Center for Data Analysis. 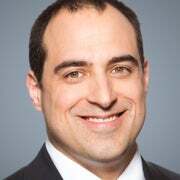 His policy research and writing analyzes the economic effects of federal tax, energy, regulatory, housing and housing finance policies. Read his research. The Senate Committee on Banking, Housing, and Urban Affairs held a hearing last week to lay out guiding principles for housing finance reform legislation. While it is a positive development that the Senate is getting to work on housing finance, conservatives should be wary of the way things are starting out. First, here are some basic facts. 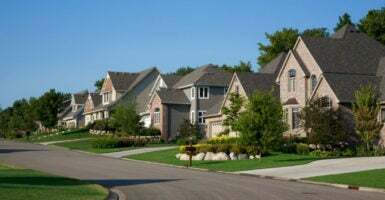 The federal government has been getting more and more involved in housing finance since it created the Federal Farm Land Bank system during the Woodrow Wilson administration in 1916. That system consisted of 12 federal land banks and an exclusive regulator called the Federal Farm Loan Board. They were the first of the government sponsored enterprises—nominally private banks with the winking support of the federal government. The land banks were designed to encourage more debt through long-term, amortized loan contracts, and to do so by packaging the loans into tax-exempt bonds that could be sold for more liquidity. It worked, but the increased debt contributed to a land boom that, predictably, ended in disaster. The land banks were bailed out—to the tune of $125 million—in 1932, during the Great Depression. Rather than come up with a different plan, Congress modeled the Federal Home Loan Bank system on the failed land bank system. This time, the idea was to increase liquidity in the mortgage finance system by purchasing home loans from specialized mortgage lending institutions known as Savings and Loans. It took a bit longer, but this system eventually imploded too, and only exists today because Congress expanded the Federal Home Loan Bank system’s membership to include all federally insured depository institutions. Of course, Congress didn’t stop with the Federal Home Loan Bank system. The New Deal era spawned an alphabet soup of federal housing finance enterprises, eventually placing taxpayers at risk for, in no particular order, the Federal Housing Administration, the Rural Housing Service, the Government National Mortgage Association (Ginnie Mae), the Federal National Mortgage Association (Fannie Mae), and the Federal Home Loan Mortgage Corporation (Freddie Mac). 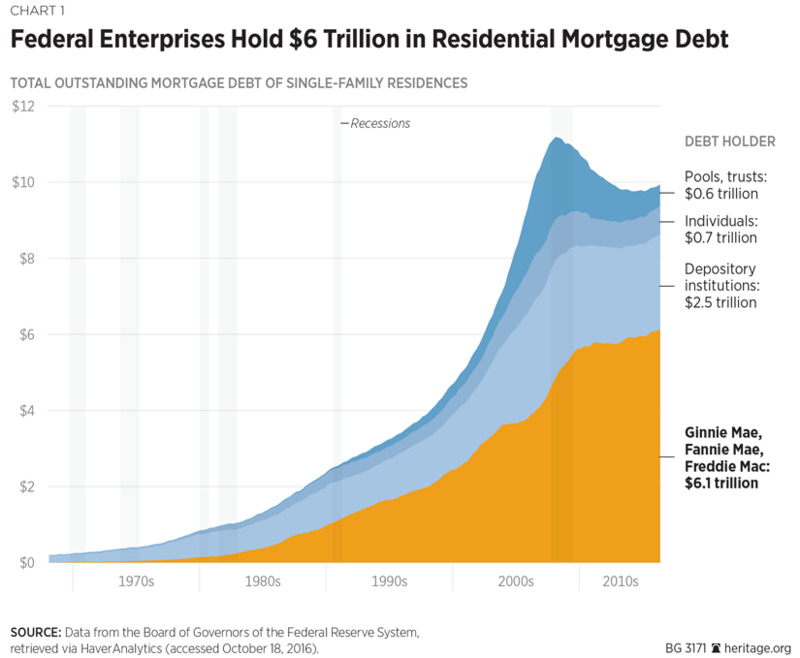 Federal taxpayers currently cover more than $6 trillion (60 percent) of single-family residential housing mortgage debt, and they’ve had to shell out billions over the years to keep these enterprises afloat. 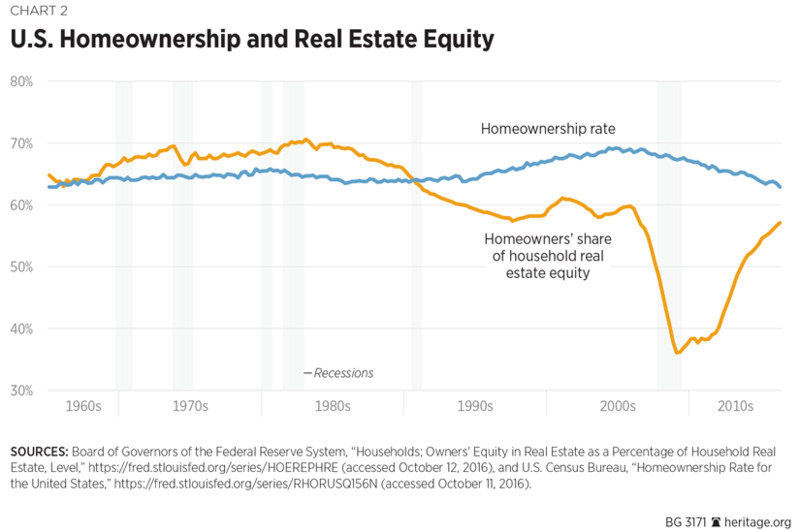 It might make sense to maintain the current system except for three major problems: Americans have more debt than ever, homes are more expensive than ever, and the rate of home ownership hasn’t really budged (except for one bubble) since the late 1960s. The full experience is reminiscent of what President Abraham Lincoln’s wife may have thought of the play. All of the affordable housing efforts, in particular, have failed. 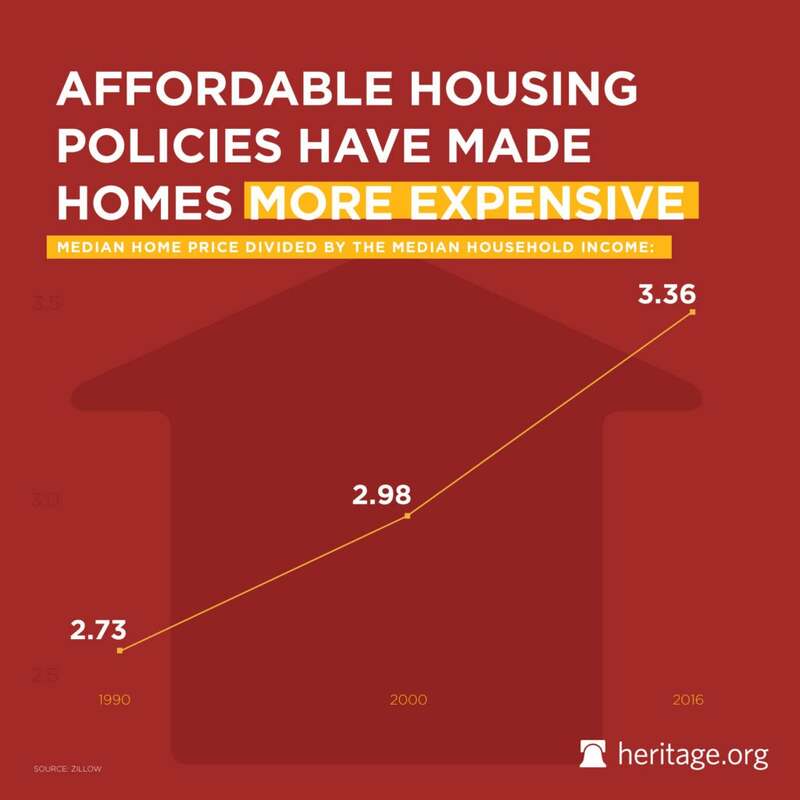 Homes have become less affordable and prices have outpaced income gains. All sorts of special-interest groups in Washington could not care less, though, because this system has been great for business. It’s not much of a surprise that mortgage bankers want to do more to encourage mortgages, but standardizing the entire mortgage security market and explicitly putting taxpayers on the hook for losses is not the way to make homes more affordable. It’s also not the way to make the system safer. Replacing what used to be an implicit guarantee behind the U.S. mortgage securitization market with an explicit guarantee will only result in more moral hazard in the housing finance system. On the other hand, removing federal interference in the primary and secondary mortgage markets by eliminating all federal subsidies and special privileges would increase market competition, thus strengthening home finance and making homes more affordable. Conservatives should be very wary of where the Senate is heading. The only housing finance legislation to come from Senate Banking members since the 2008 crash has been little more than Fannie-Freddie 2.0, and some who sponsored those bills are leading the latest reform effort. It seems to me the consolidation is coming around the fact that we do need to have an explicit guarantee. We need to acknowledge if that is going to be there, there will be people on my side of the aisle that will be a tough one to get to. Among conservatives, there is no consolidation around an explicit government guarantee. Conservatives are united in their desire to end government backing to make homes more affordable, reduce risky debt, and protect taxpayers. The graphic originally in this article contained an error. It has been replaced with a correct graphic.